As promised, Apple has launched the public beta program for OS X Yosemite, the next version of its desktop OS. Apple’s only accepting 1 million people into the program, so you’ll need to snag a spot if you haven’t signed up already. Once you have your code, redeem it on Mac App Store to download the beta. Apple recommends that you back up your hard drive, since this is pre-release software. You’ll also need OS X Mavericks 10.9, 2GB of memory and 8GB of free disk space. The beta site is experiencing some issues at the moment, so give it a few tries if the page doesn’t load. Sadly, you won’t get to try out the new Continuity features that work with iOS 8 yet unless you’re a developer. Also, keep in mind that if you decide to upgrade your account to iCloud Drive, it will turn off iCloud Documents and Data, even on your non-Yosemite and non-iOS 8 devices. 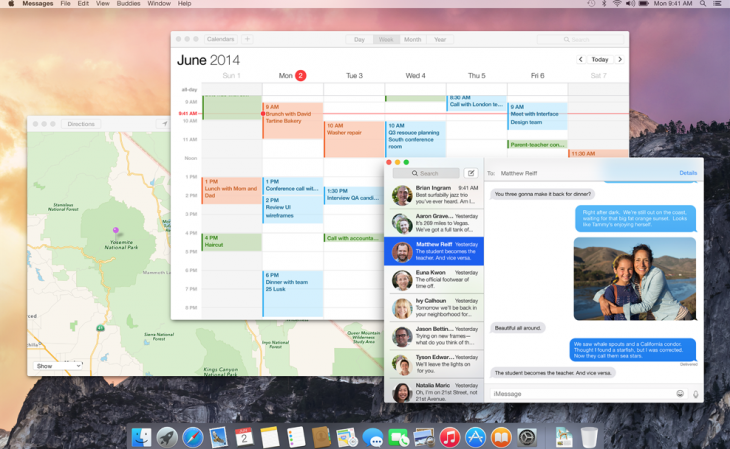 When OS X Yosemite arrives this fall, it will work much more closely with your iPhone. For instance, you’ll be able to use your Mac as a relay to send text messages and place calls. The new OS will include a similar flat design to iOS 7.